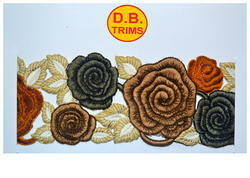 Manufacturer of a wide range of products which include fancy metallic embroidered lace (trim), fancy multi embroidered lace and cut work lace. 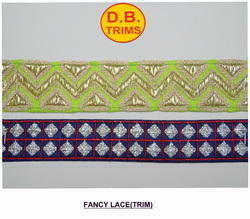 Leveraging on our vast knowledge of this realm, we are betrothed in presenting an optimal quality series of Fancy Embroidered Laces. 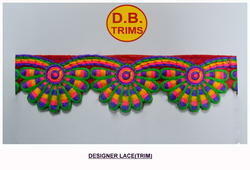 We are a quality conscious business enterprise known in the market for providing an exclusive assortment of Multicolored Embroidered Laces to meet the required need of our clients.